OCHS Senior Reese Bloomstead was named a top midfielder to watch this fall by NJ.com. Read the full article here. 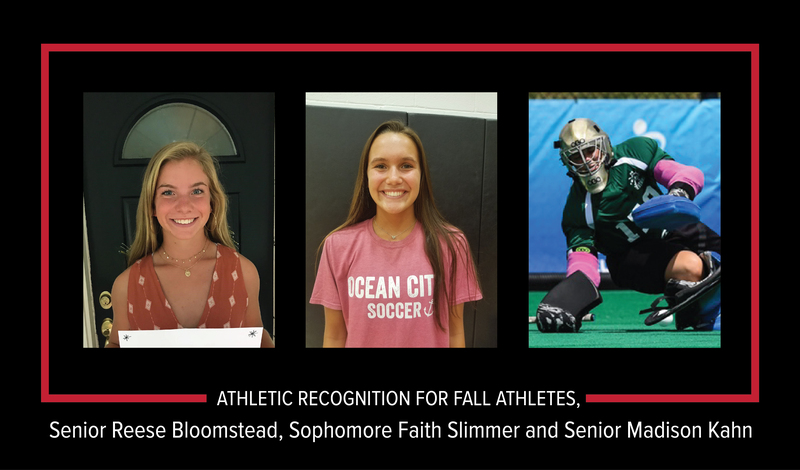 OCHS Sophomore Faith Slimmer was named on the high school player All-America watch list this fall for girls soccer by topdrawersoccer.com. Read the full article here. Madison Kahn, a field hockey goalie and Lehigh University commit, has received multiple honors as of late. Madison is on the Max Field Hockey All-American Watch List, the list top 50 Field Hockey players in the class of 2019, and the list of top players in New Jersey. She has also been named a player to watch by NJ.com. Pictured: Reese Bloomstead left, Faith Slimmer middle, Madison Kahn right.